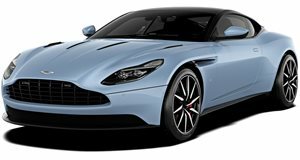 It will be the first model that will be produced at Aston Martin’s new fancy factory in Wales. It’s no longer a shock that Aston Martin is making an SUV. Even . If predictions are accurate, Aston Martin’s first ever SUV, which will be , . That’s hardly surprising when you look at the monumental success of the Jaguar F-Pace and the fact that Aston Martin is a low-volume supercar maker. Details about the Varekai are still scarce, but Aston Martin has confirmed the SUV is “on schedule” for a reveal in Q4 2019, so we should see it break cover around a year from now. It will be the first model that will be produced at Aston Martin’s new fancy factory in Wales, with prototypes slated to start production in Q1 2019. The Varekai is expected to adopt the DB11’s 4.0-liter twin-turbo V8, but a 700-hp hybrid version could also be in the pipeline. That would explain why the Vareki is being built at the new factory because the site will become Aston Martin’s “home of electrification”, where the and will also be produced. Aston Martin has also released the first photos of its new shiny St Athan facility, which is nearing completion. It looks very plush, as you would expect considering it's part of a $200 million+ investment. The Paint Shop is fully installed and construction of the production line is “well underway”. Around 100 employees are already working on site, but that number will increase to 200 early next year and 700 by the start of 2020 as Varekai production ramps up. “As the St Athan facility nears completion, there is a very real sense this is the start of a bold new era for Aston Martin Lagonda,” said Aston Martin CEO Andy Palmer. “A second production facility is a critical step in delivering our Second Century Plan. The St Athan facility will initially commence with the production of our first SUV but will ultimately be a global center of excellence for the production of luxury high-performance EVs, including Lagonda: the world’s first luxury electric automotive brand”.